We set out to create the best SWOT Analysis software experience possible. Based on our business goals, what are our key internal business strengths? What are the biggest internal weaknesses within our business? What are the external opportunities we could leverage to grow our business? 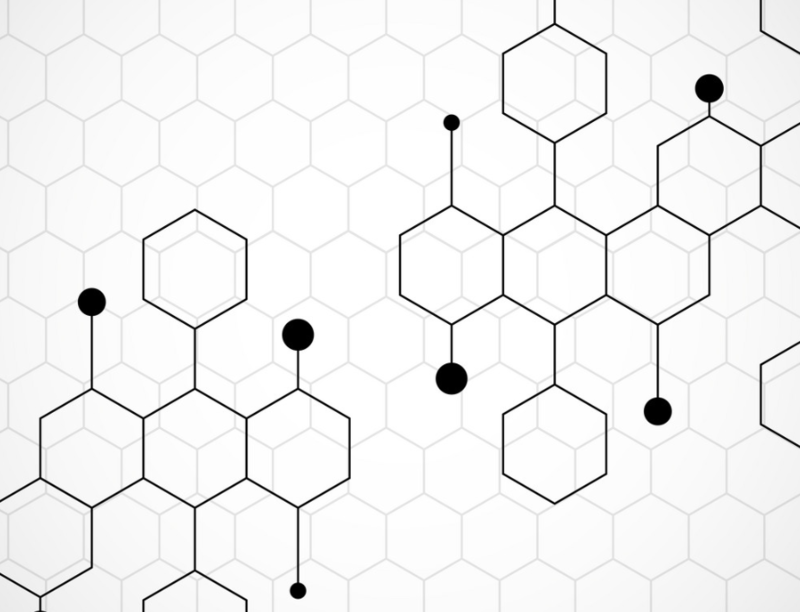 What are the external threats we must navigate and overcome to protect our business? For best results we recommend that you collect at least 16 items per swot. 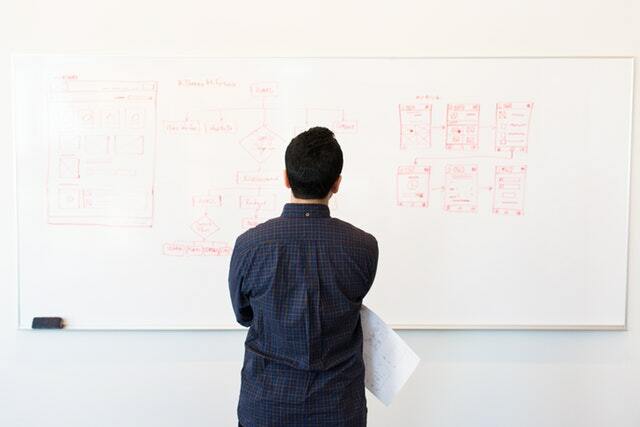 That does take some work but you will be amazed with the results and how the SWOT template forces you into 4D thinking - a much broader, rounder, fuller approach to critical thinking and ultimately driving you to make the best decisions. Research also shows that diversified opinions as well as offline brainstorming are key to successful outcomes. So with this in mind we set out to make the SWOT Analysis software collaborative. We want you to be able to click a link and quickly grab a “shareable” link that you can send to anyone to add them to your brainstorm to collect unique inputs. This can include our team, customers, vendors, partners, investors, etc. Once you have a group contributing their inputs - an open brainstorm - it’s time to start converging the inputs down to your top 5 items for each quadrant. We added a little star icon next to each item so any user can go ahead and click the start to vote up their favorite strengths, weaknesses, opportunities, or threats. This way you don’t need to delete any items. 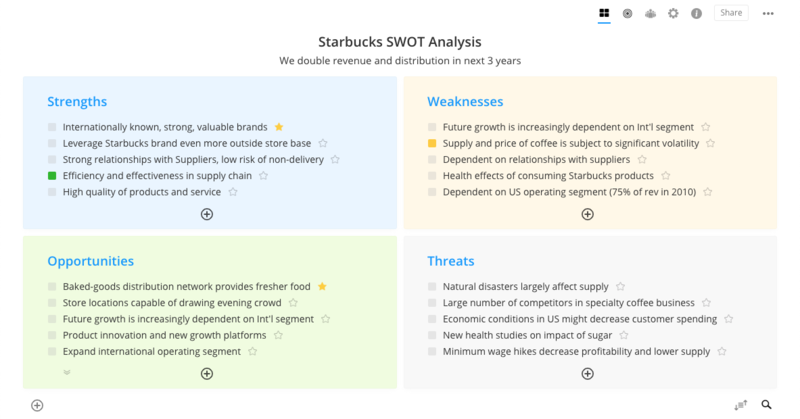 This is your main SWOT Analysis grid showcasing the top 5 items for each quadrant. You can click on the plus to expand the quadrant and see all the items. This wouldn’t be a killer online or interactive application if we didn’t think about the mobile device or big screen TV. For mobile - this was a huge focus. As great as Google is with their docs, Google Sheets on a mobile device creates more friction then most users are willing to endure to simply post their feedback. So we created a stunning SWOT Analysis mobile software experience. We built it as a web app so any user from any device could simply go to www.swotanalysis.com and log in. Now you can branistrom from the train, the coffeehouse, the pool, and wherever you get inspired with ideas that can help you and your team form great SWOT datasets to help you make the best decisions. We also thought teams would leverage an online SWOT Analysis from within a meeting. Use it to drive a live discussion, use it to showcase everyone’s inputs, and drive towards a set of actions. So we created a “Full screen” option which looks beautiful on a large screen TV or projector. Since we launched we have seen thousands of SWOT’s created via our software. 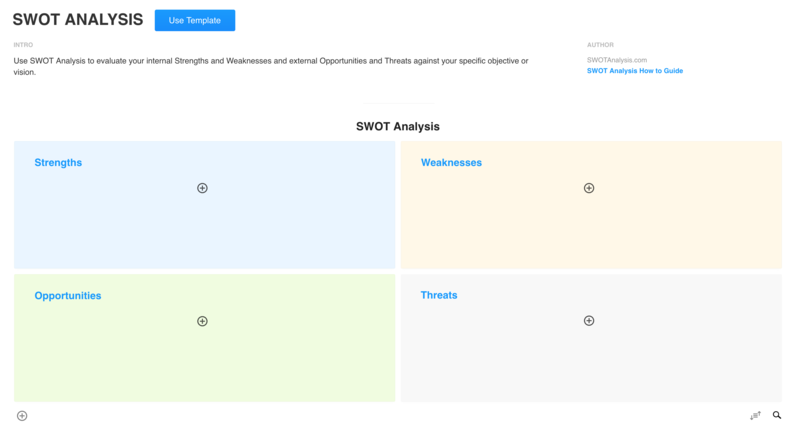 One of the biggest feedback items we received was enabling the ability to download your SWOT Analysis data so you could manipulate to your choosing. So we rolled out a new feature a few months back called “Download”. This generates a simple CSV file that opens in Excel. After you successfully complete your SWOT we recommend you write a conclusion. This enables you to capture your key findings, next steps, etc. Now it’s time to get to work on leveraging your SWOT findings and building a collaborative and measurable SWOT Action Plan. We’re excited about the launch of our newest addition, OKRs. To learn more about create a winning SWOT Action Plan visit our OKRs Guide. Our goal is to help you make the best decisions and achieve remarkable outcomes. Please share your outcomes with us.